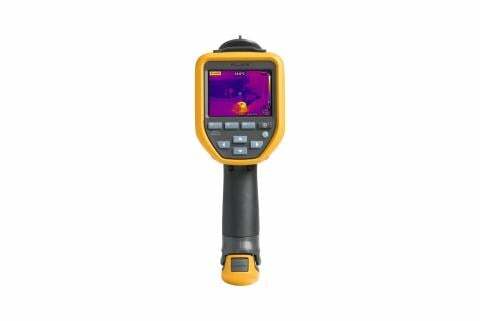 Fluke Performance Series infrared cameras— TiS10, TiS20, TiS40, TiS45, TiS50, TiS55, TiS60, TiS65—have features that technicians and contractors need for quick scans and/or intermittent inspections. The cameras include an intuitive interface and a choice of manual or fixed focus options. 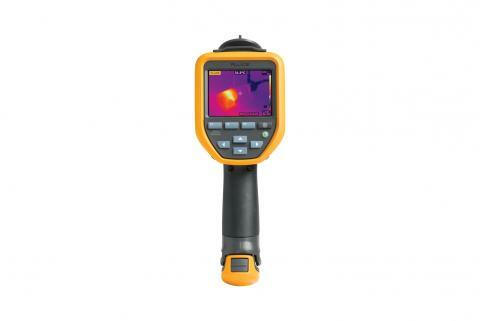 Most models also offer technology that combines infrared and visible light images to help locate problems. Designed with special attention to balancing the weight and angle of the screen vs. the grip to support extended use. A choice of fixed focus to automatically focus from 0.45m (1.5 ft.) and beyond or manual focus to zero in on targets as close as 0.15m (6 inches). Built rugged to withstand harsh environments and a 2 meter (6.5 feet) drop. Hinged lens cap locks up out of the way as you work so there are no dangling parts to get caught in equipment. All models include a smart battery (the TiS60/65 includes two) with a one touch gauge to check remaining battery life without turning on the camera. Navigate menus and features and capture images with one hand, even with gloves on using three function buttons, four arrow keys, and a trigger. Press F2 to access secondary menus for measurements, thermal image display, camera features, memory setup, and settings for date, time, language, units, wireless connectivity, and more. Use function buttons and arrow keys to navigate to the menu item you need. 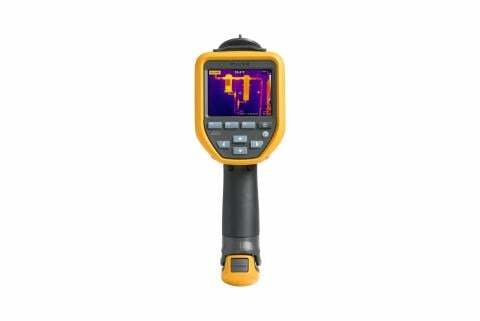 Change level and span, select temperature range, set measurement markers, and adjust emissivity. Change the way the image looks by adjusting the palette, changing the thermal and visual light IR Fusion® settings and selecting the details to display. Turn on video recording (TiS60/65 only), set the camera to auto-capture images, or adjust the backlight level. Access the Memory menu to view or delete captured images. Set up or change date, time, and language. Select file storage format and visible light camera up to 5MP. Adjust power options for camera or LCD and turn on/off wireless options. 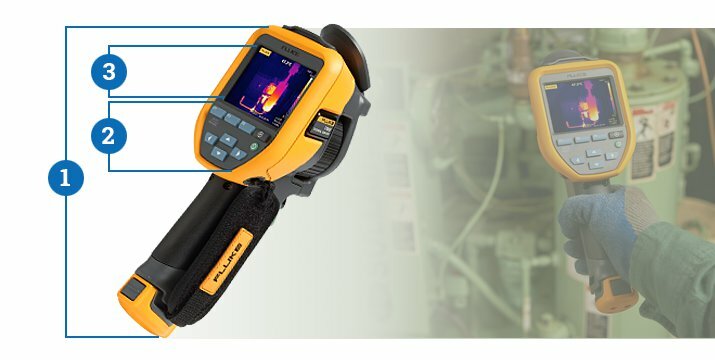 Access Fluke Connect® app or modules (may not be available in all regions) to wirelessly connect your Fluke infrared camera with an app on your smartphone or tablet. Change the default filename prefix. 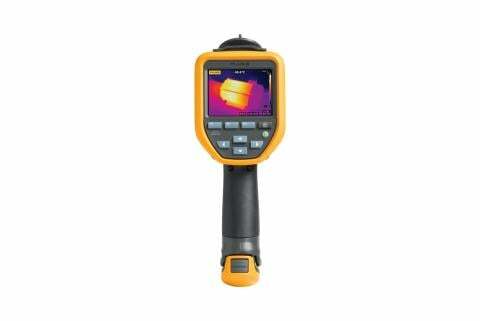 Access information about the imager such as model number, serial number, firmware versions, certificates and licenses.